The Danbury Municipal Airport will be the epicenter of manufacturing and testing of the radical three-seater. Scuderia Cameron Glickenhaus announced Monday that it will build its upcoming 004 series of three-seat, 800-horsepower supercars in the United States. Company owner and racing enthusiast James Glickenhaus revealed the intent via social media, boasting of "easy factory access by airplane" on a video featuring an airstrip, which Glickenhaus identified to Motor1 as Danbury Municipal Airport in Danbury, Connecticut. The 004 itself will be a fully carbon fiber supercar with three-abreast seating, wherein the driver sits front and center, similar to the McLaren Speedtail. Power will come from the same General Motors LT4 V-8 used in the Chevrolet Corvette Z06, where it makes 650 horsepower and as much torque. Customers can optionally upgrade to an 800-horsepower LT5 of similar specification to that used in the Corvette ZR1, and both engines will be available with a customer's choice of a six-speed manual or a paddle-shifted automatic transmission. Buyers can spec their 004 to one of three models depending on intended use. The 004S will be a track-capable, but road-focused version, legal to drive on public roads in at least 49 states. Its meaner 004CS sibling will technically be just as road-legal, but more track-friendly with its extreme aerodynamics, optional sequential transmission, and motorsport-grade center-lock wheels. A caged-up racing version—the 004C—will be available for use in high-level GT racing such as GT3 and GTE, though no images of the 004C have yet been published by SCG. Production of the 004 series will commence in 2019, though the number of vehicles SCG can legally sell per annum is limited to 325 units stateside by its NHTSA classification as a low-volume manufacturer. Given that the SCG 003C managed a 6:33 around the Nürburgring with just 500 horsepower, the more powerful 004 series of cars should, in theory, be capable of beating the 003C's time. 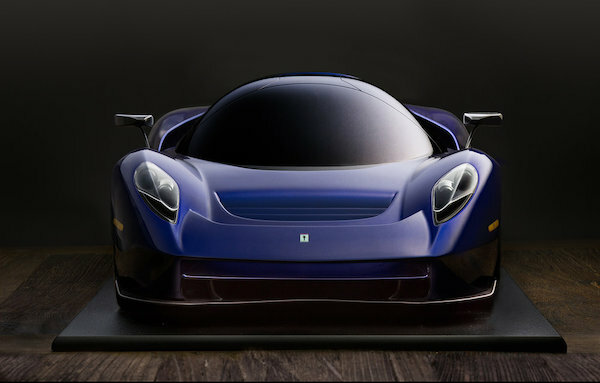 We expect it'll be a matter of time before Mr. Glickenhaus ships a 004C to the 'Ring to beat his company's own record. The VW-funded program has deployed 20 e-Golf hatchbacks for multi-family residential properties to share in Sacramento, California.